With the capability to shunt/propel up to 300 tonnes; the Unimog Shunter U400 is effective for many specialist maintenance works. 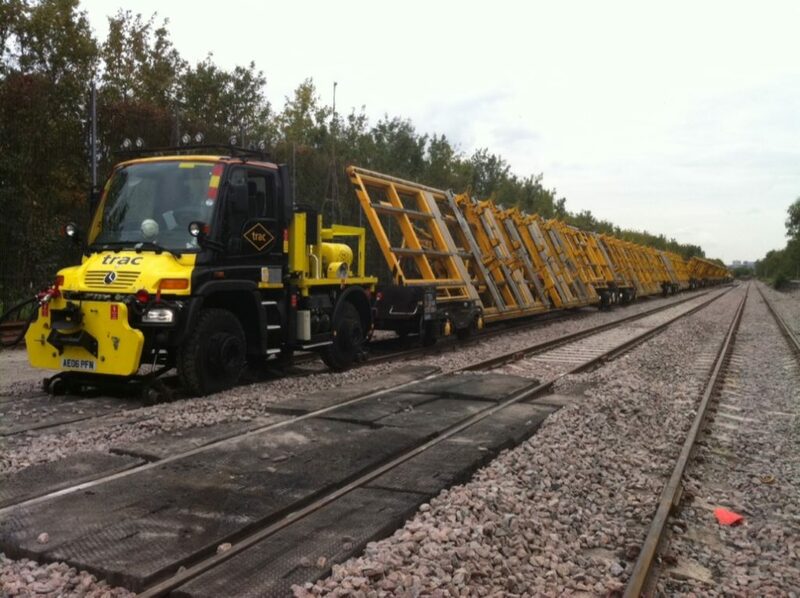 Together with the other specialist RRVs within TRAC Rail’s fleet it ensures that rail projects can be completed as effectively and efficiently as possible. The machine is capable of shunting/propelling 300 tonnes of rolling stock and is currently the only machine of its kind with VAB approval to do so. The Unimog is also capable of propelling 6 wonder wagons – approximate weight (150 tonnes). The Shunter is capable of propelling wagons/trailers at both front and rear. It is also fully remote controlled to allow shunting operations up to a distance of 200m – 300m away from the operative.